Written on May 2, 2018 . 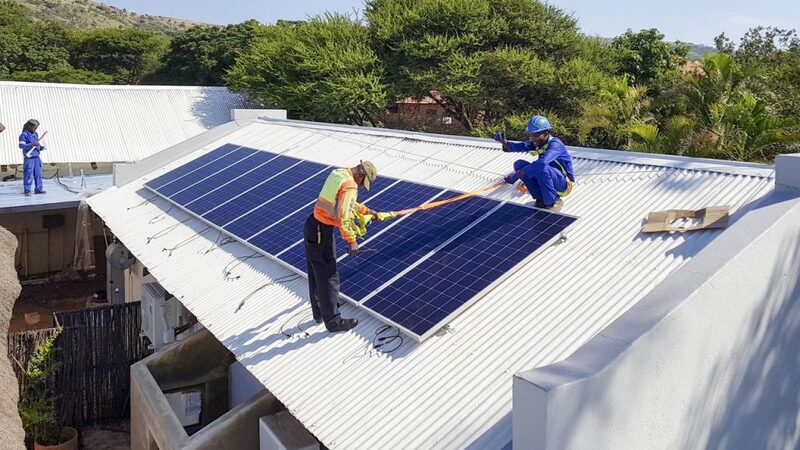 Posted in Commercial solar solutions. 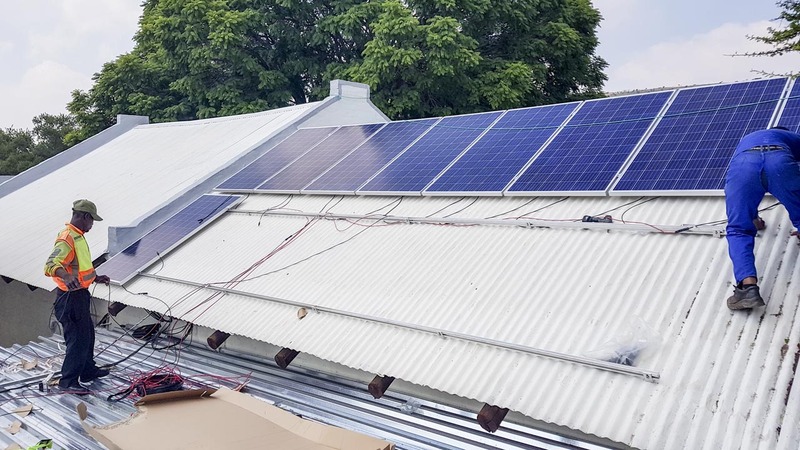 De Oude Muragie 3 phase 129kWh/day Hybrid Solar System, supplied and installed by Specialized Solar Systems’s commercial team. 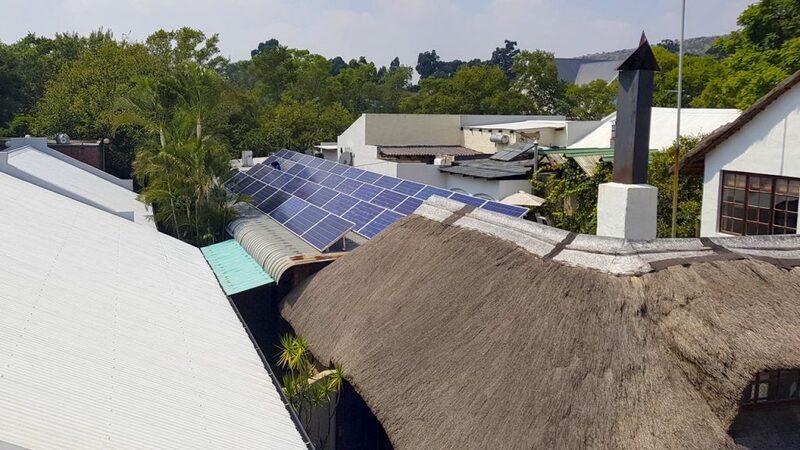 De Oude Muragie with it’s quaint Cape Dutch buildings and pergolas covered by ornamental vines, has a charming country feel in the centre of the busling suburb of Magalieskruin in Pretoria and has gone solar with Specialized Solar Systems. 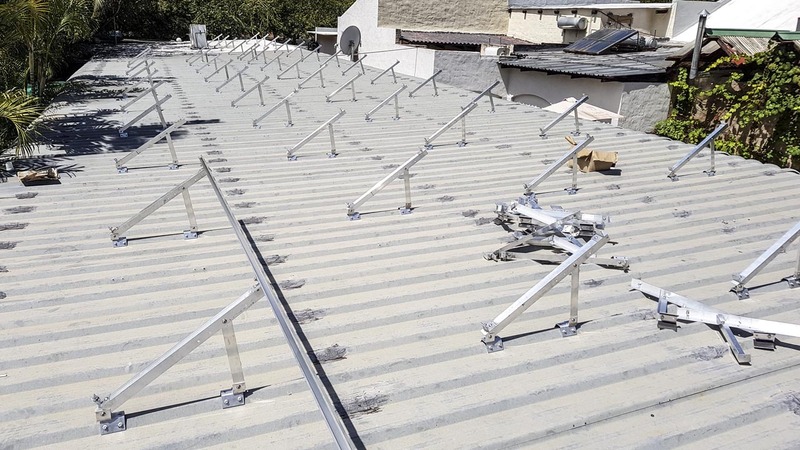 This Hybrid system comes with full monitoring capabilities. 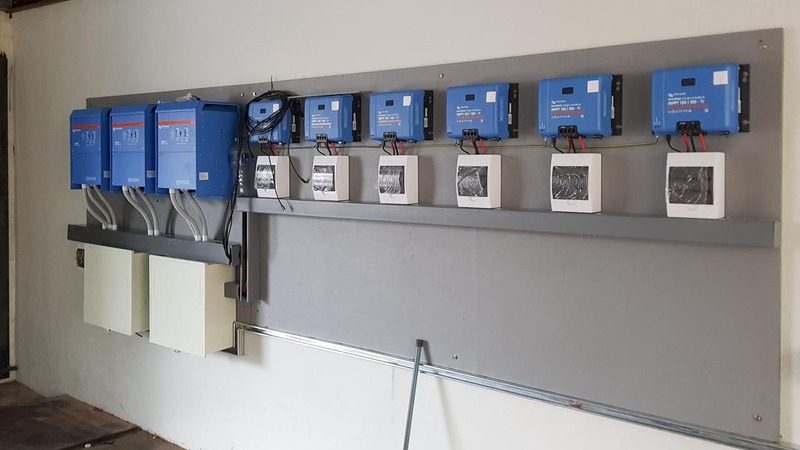 A hybrid solar system combines the best of both worlds: the convenience of a grid-connected system – including the ability to earn Feed-In-Tariff Credits – with the extra peace of mind of a battery backup. This means that even during a power blackout, you still have electricity. 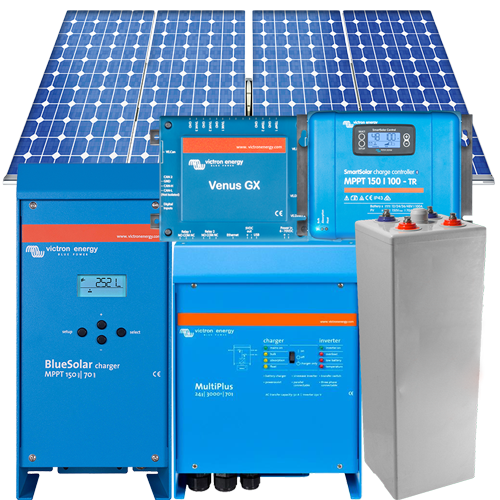 Buying a hybrid system from Specialized Solar Systems will mean that when the grid fails, your system will keep going. 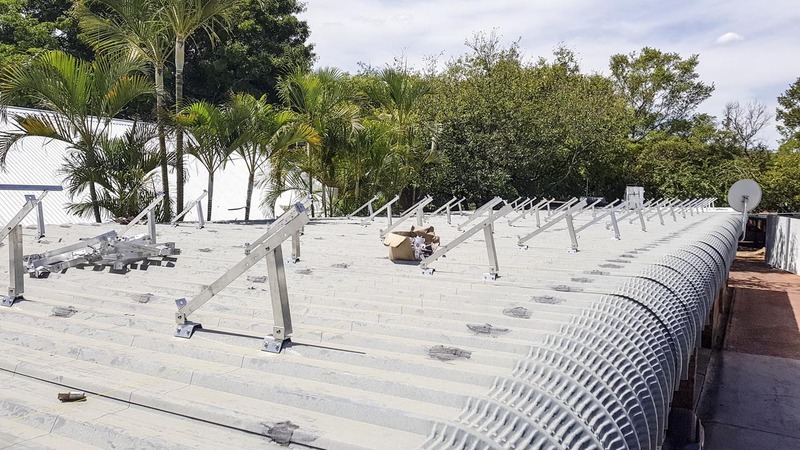 Our hybrid systems are able to disconnect from the network in the event of a grid interruption (when a standard solar system would shut down). 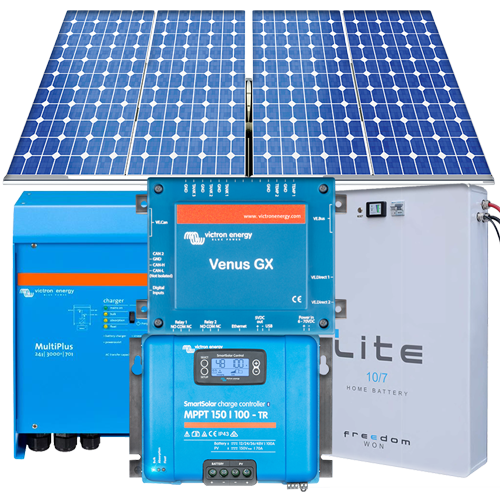 You will be able to continue to run certain appliances from your batteries (and solar during sunlight hours). A hybrid system can ‘load shift’. 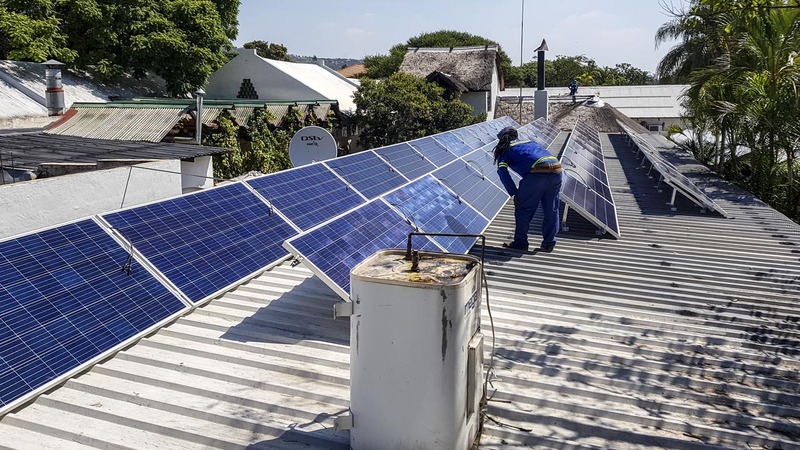 This means that the energy that you generate during the day is not wastefully fed back into the grid with a minimal financial return to you. The energy is stored and can be used in the evening or whenever you like. The most common questions are about costs! 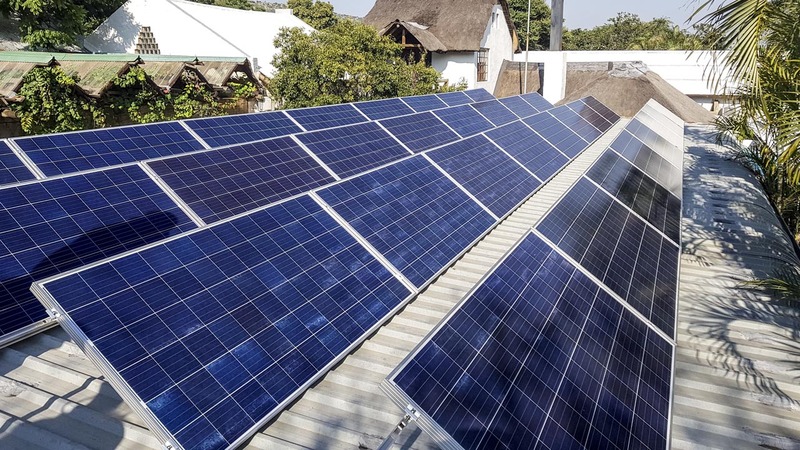 Energy efficiency is always the first step to ensure your solar hybrid fits your electricity consumption profile and you don’t pay for capacity that you don’t need. 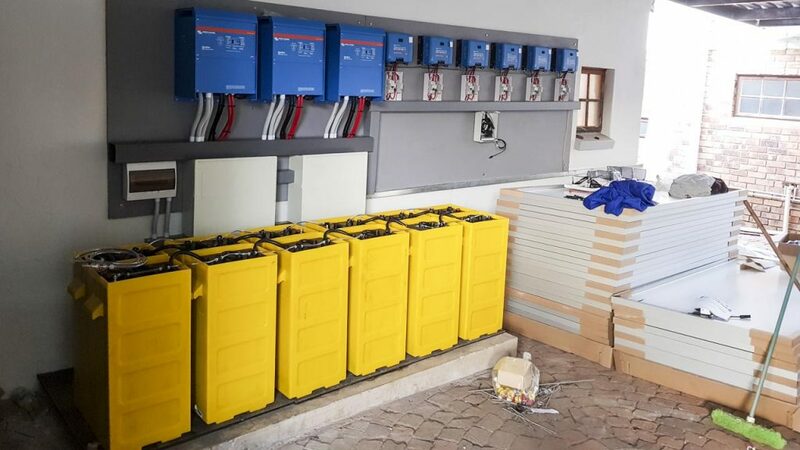 Here is an option to get you started with about 9kWh useable storage; however there are always customizations available to suit your individual needs and goals. 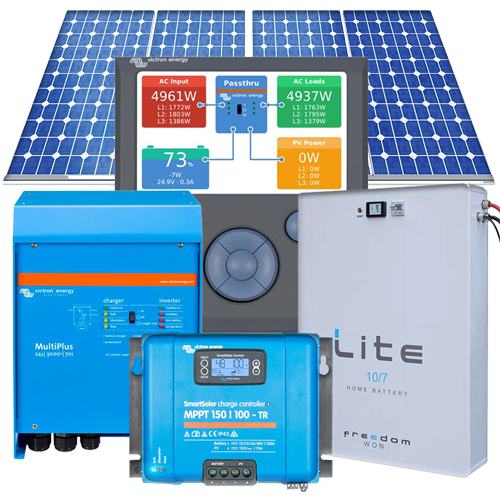 SSS can work with you and your budget to achieve grid independence. Remember it’s not just about the economics. 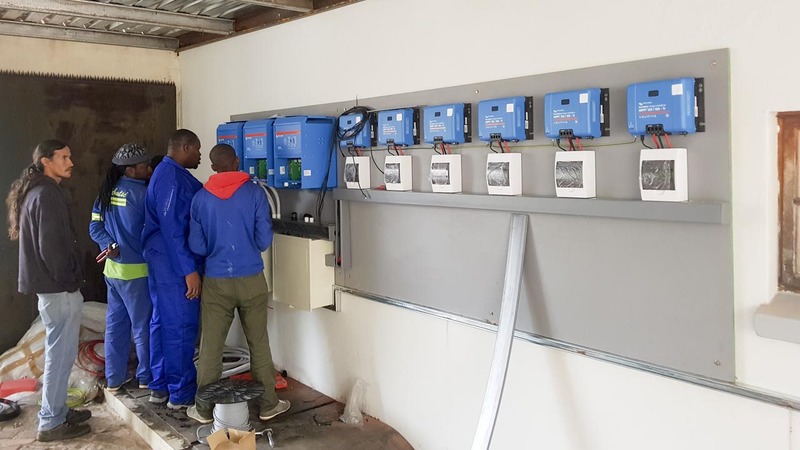 Hybrid systems empower you with energy security, self-sufficiency, and lock in your future cost of electricity, control when you use your solar power and provide an uninterrupted power supply when others have lost grid power.